Tote bag is a type of women’s handbag. Tote bags contain larger space as compared to other handbags and allow women to carry maximum number of goods at the same time. Tote bags are perfect solutions for carrying large stuffs such as laptop. Global tote bags market is envisioned to grow at a significant pace over the forecast period i.e. 2017-2024. The adoption of tote bags is rapidly increasing amongst women across all regions. This rising demand for tote bags can be attributed to availability of wide range of tote bags product to meet every requirement. Further, growing environmental awareness amongst the population has increased the consumer’s preference for tote bags over plastic bags. Reusability of tote bags and environmental benefits of using tote bags are likely to be the major factors behind the growth of global tote bags market. Regionally, the global tote bags market is segmented into North America, Latin America, Europe, Asia Pacific and Middle East & Africa regions. 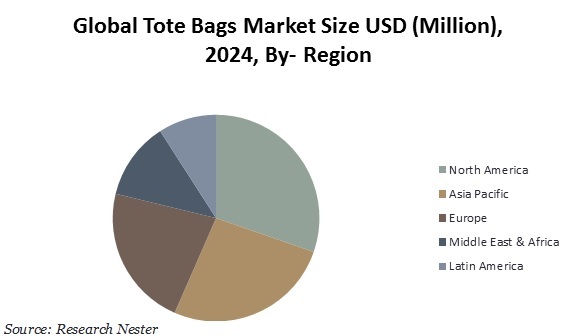 Among these regions, North America tote bags market is predicted to grow at considerable pace during the forecast period. Women in America are adopting tote bags for various applications such as daily retail shopping and more. Further, continuous enhancements with looks and strength of tote bags have allowed these products to serve fashion purposes as well as practical ones. High adoption rate of tote bags amongst female population in North America region is projected to drive the growth of tote bags market in this region over the forecast period. The global tote bags segmented by application into shopping tote, casual every day tote, laptop tote, sports tote, business and travel tote, personalized tote, others. Among these segments, shopping tote bags are dominating the global tote bags market across all regions. Rising preference for tote bags over plastic bags for shopping purposes is likely to intensify the growth of this market in near future. Tote bags have become a fashion statement and consumers are aggressively adopting these products to fulfill their fashion and practice needs. Availability of variations such as leather totes, top zip for the main compartment and others is fuelling the adoption rate of tote bags amongst female population. Toto bags also serve environmental benefits owing to its reusable features. Government support and initiatives such as plastic ban and fine on plastic use, to reduce the use of plastic bags are also creating a strong demand for tote bags across the globe. For instance, Wasilla City Council has recently banned single use plastic bags in Wasilla, Alaska, U.S. The city council announced a 300$ penalty for the offenders. Additionally, manufacturers are developing high durable and lavish designed products to attract maximum number of buyers. Further, tote bags are flexible and certainly affordable and are able to fulfill fashion needs. Further, rising women’s preference for tote bags over other handbags owing to its large interspace and ability to carry maximum number of products is strengthening the market of tote bags. 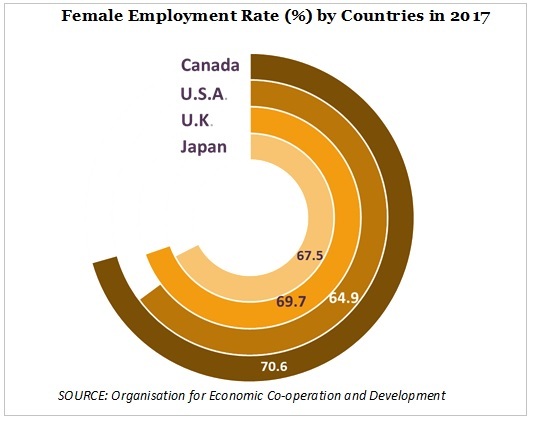 Furthermore, rising women participation in the global workforce and high adoption rate of tote bags amongst working women are key factors which are augmenting the growth of global tote bags market. However, availability of other hand bangs products and lack of stringent government regulations regarding use of plastic bags in various countries is predicted to hamper the growth of tote bags market in future.